Saras Headed For Project Cancellation? With Australian Air Force ordering two more C-17s, the number of white-tail platforms (fully built but unsold) drops to five, giving the Indian government one final opportunity to augment its 10-strong fleet of the heavy transport jet. Boeing Defense has extended the validity of its commercial bids on expected deals for 22 AH-64E Apache and 15 CH-47F Chinook helicopters till June 30, the latest in a long string of extensions requested by the government as it attempts to conclude a deal. 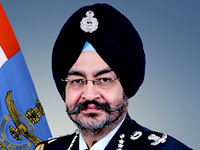 After the recent turbulence over the MMRCA, Defence Minister Manohar Parrikar has signalled the possibility of a separate single engine fighter jet platform replacing India's MiG-21s in the event that the LCA Tejas is not up to the task. 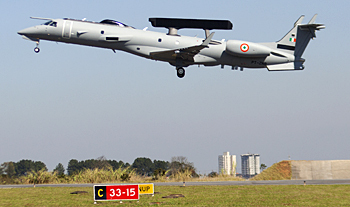 Faced with turbulence in its training regimen, the Indian Air Force may go in for a life extension on its remaining HJT-16 Kiran Stage-II trainer aircraft. 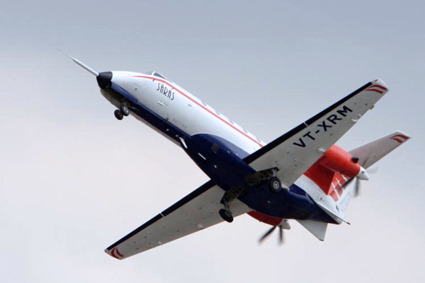 With HAL's HJT-36 Sitara intermediate jet trainer failing to surmount design problems, a twin approach has been adopted. The Army is scouting an unspecified number of new Low Level Light Weight Radars Mark-ll for deployment in non-mountainous sectors like desert and plains. The radar needs to be easily transportable and capable of detecting even small, low-RCS entities like UAVs. After two failed attempts spanning a decade, the Indian military's critical need for new generation light multirole helicopters is finally off on its third big attempt. 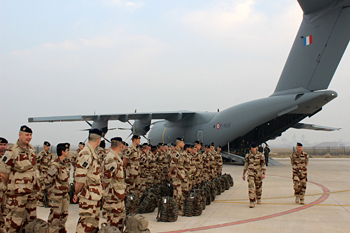 India and France are expected to announce forward movement in the long-delayed SR-SAM 'Maitri' joint weapon programme this month when PM Narendra Modi is in France on his first official visit to the country as Prime Minister. On February, right in the middle of Aero India 2015, the U.S. Army teamed up with the Indian Army's 2nd Parachute Regiment (Special Forces) for a parachute demonstration from a C-17 Globemaster III. 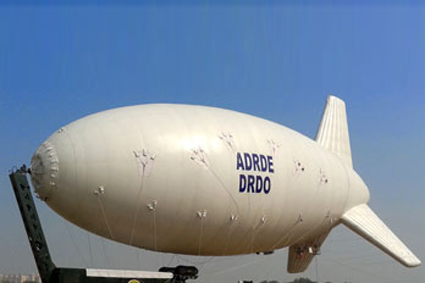 While the Defence Ministry mulls over the next step in the crucial Indian Air Force HS748 Avro replacement programme, the DRDO has been presented with a somewhat similar situation on its Airborne Warning & Control System (AWACS) project. European missile firm MBDA has pitched the Missile Moyenne Portée (Medium Range Missile) fifth generation anti-tank missile system for co-development and co-production in India. 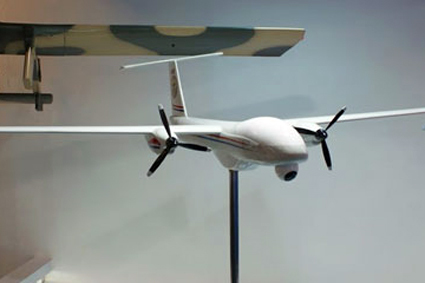 HAL unveiled its own build of the Elbit Systems Skylark mini-UAS, announcing that it was close to entering negotiations shortly with the Indian Army and CRPF for supply of the hand-launched drone for over-the-hill surveillance and intelligence gathering. 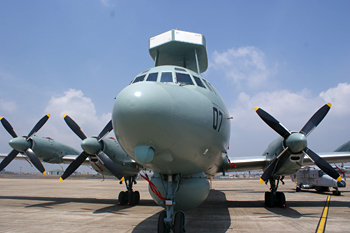 Dealt a new lease of life after months of friction with the Indian Air Force, HAL's HTT-40 programme has got the necessary boost it needs to move quicker. 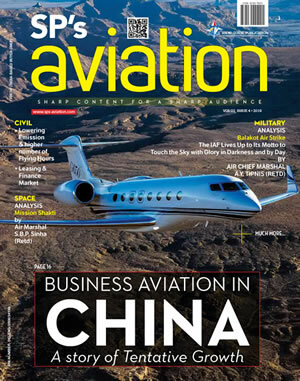 A first flight of the basic trainer aircraft (BTA) is scheduled for June this year. While the lead time in Prime Minister Narendra Modi’s ‘Make in India’ campaign is likely to be substantial, the year 2015 is turning out to be potentially golden for what’s already ‘made in India’. The quietness of this aircraft belies the enormous interest it has evoked in the regional market already. It’s return to Aero India this year is, therefore, no big surprise.